Say hello to Summer fun with ‘Angel Island Live’ – offering free live music on the Cove Cantina Deck every weekend this Summer. Here at Angel Island Ferry, we know weekends are all about enjoying fun, quality time with friends and family. And with Summer 2018 in full swing, we invite you to check out the fun waiting for you at the Cove Cantina Deck – every weekend this Summer. 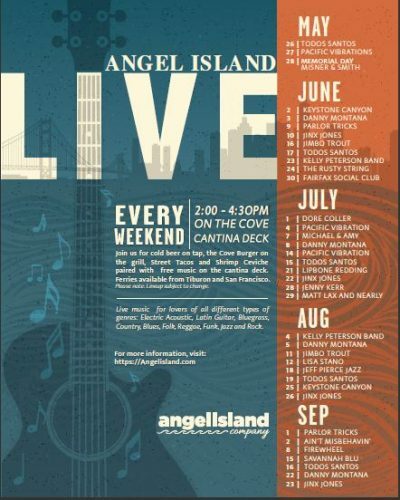 Hop on Angel Island ferry in Tiburon, California, HOURLY weekends this Summer to enjoy free live music on the Cove Cantina Deck 2 p.m. – 4:30 p.m. – Saturdays and Sundays through September 2018. Click here for the current Angel Island – Tiburon Ferry Schedule. 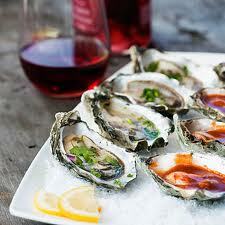 Hog Island oysters, Lagunitas brews…what’s not to love? Who’s up for a juicy Cove Burger, street tacos or shrimp ceviche? Oh yeah, life is good on the Island weekends this Summer. And with fresh Hog Island Oysters on the grill and cold Lagunitas brews on tap…get ready to seriously elevate your Summer fun quota with a day trip to Angel Island State Park this weekend. 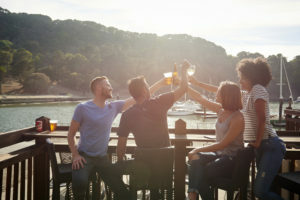 Discover summer fun on Angel Island’s Cantina Deck. Photo Credit: Angel Island Co. Yes, there’s no keeping this free, live Bay Area music venue a secret any longer. Ready for some serious summer fun? Make “Angel Island Live” your destination for great food & drinks paired with amazing views from the Cove Cantina Deck…this weekend. Click here for info. on $4.00 & $5.00 All Day Parking in Downtown Tiburon, California. PS: While we are highlighting the above ongoing weekend event, both Angel Island – Tiburon Ferry and Angel Island State Park are open 7 Days a week this Summer! 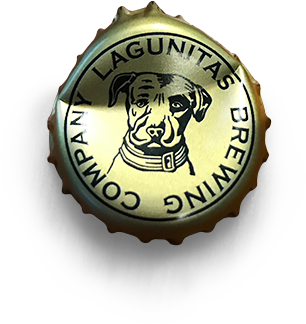 Special thanks to Lagunitas Brewing Company for their continued support in Sponsoring the “Angel Island Live” Music Series year after year. Angel island, Angel Island events, Angel Island Ferry, angel island live, angel island live music, Angel Island State Park, Cove Cantina Deck, destination Tiburon, free live music, hog island oysters, lagunitas brewing company, lagunitas brews, Summer, summer fun.